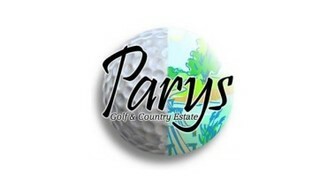 Sign-up and receive Property Email Alerts of Residential Estates in Parys Golf &amp; Country Estate, Parys. Parys Golf & Country Estate offers residents pristine river frontage to enjoy a variety of water sports and spectacular views. Properties are set on the edge of the Golf Course and overlook the fairways, greens, nature reserve and the Vaal River. Styled in classic Free State farm architecture, residents enjoy a slice of nature from their exceptional verandas. The estate offers a sporting lifestyle and boat launching services, as well as storage facilities for your water sport equipment, making these activities easy and trouble free. Ownership options include stands, building packages, sectional title and a proposed Retirement Village. Thirteen of the eighteen holes on the golf course feature river views and one member per household is entitled to free membership of the country club. A popular lifestyle location for young and old, Parys Golf & Country Estate offers an unparalleled escape from city pressures, a mere hour's drive from Johannesburg.